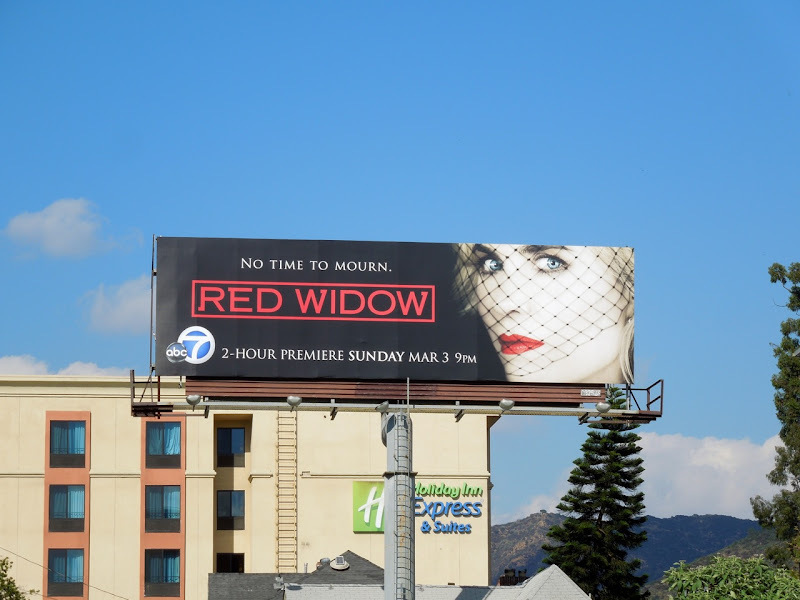 In the new TV show Red Widow, Radha Mitchell stars as a Northern Californian stay-at-home mom who has to navigate the Russian criminal underworld to keep her children safe after the grisly murder of her drug-selling husband. 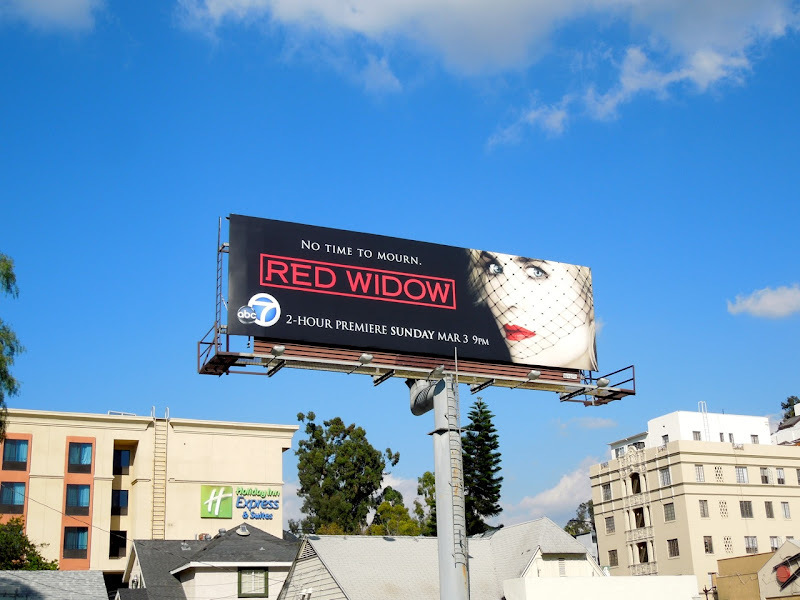 It's an interesting premise but Daily Billboard wonders how sympathetic audiences will be to a lead character who knows her family, especially her father, is involved in organised crime world of the Russian Bravta and has turned a blind eye until it's affected her personally. 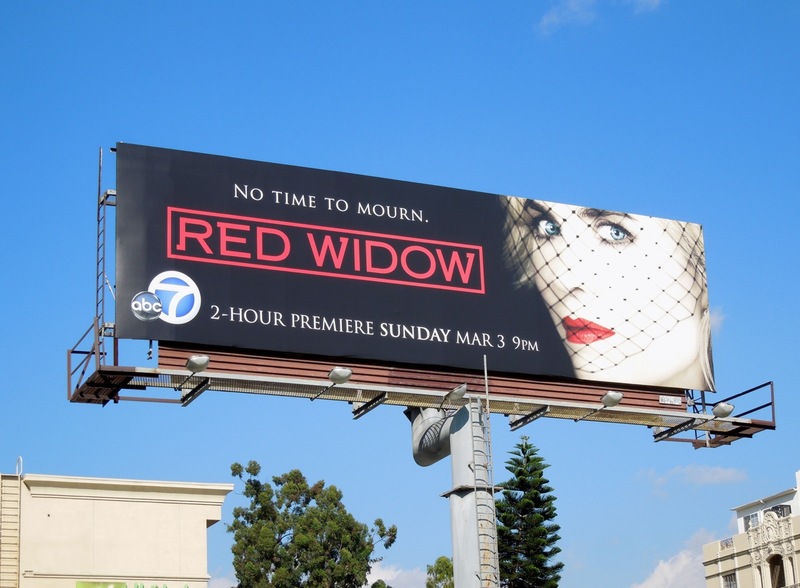 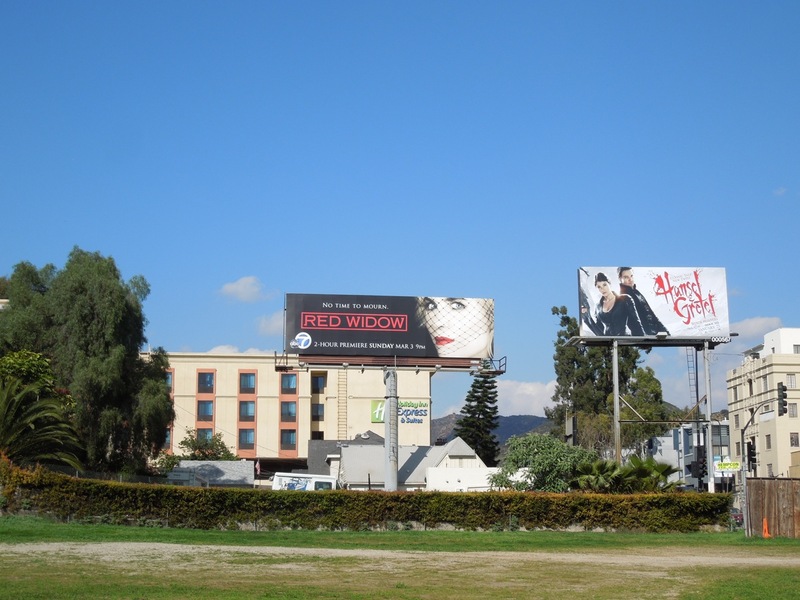 This series premiere billboard certainly sells the grieving and scheming widow concept of the show and was spied along Highland Avenue on February 9, 2013. Let's hope Red Widow has some bite and we won't be mourning another new series after only eight episodes.